And the vicious cycle repeats over and over again, leaving you frustrated and your nervous system fried. After reviewing Elliott Hulse’s program, the Grow Stronger Method, I was very impressed. Most other programs focus so much on simply getting bigger, that you forget the ultimate prize – getting stronger. After, you will completely agree that Strength is the foundation upon which all dense muscle building, speed, power and athleticism is built. That statement alone got me interested in his program. Then when I got it, I was blown away by not only its simplicity, but how he made the program so that you can tailor it to your goals. An excerpt from his program – “The Grow Stronger Method is sensitive to the NATURAL ADJUSTMENTS and corrections necessary to train at a high intensity for many years. This leads to the progressive development of your true strength potential, free from any injuries or “blowback”. We follow simple periodization programming that emphasizes high intensities, low volumes and ample recovery time”. That makes sense to you, right? It sure does to me. As I continued to read it, I soon discovered this is NOT another workout program, but this is a SYSTEM. His “Play Workout” method was certainly different than what I’ve seen, and I can see how and why it works to help you achieve any goal, while increasing your cardiovascular conditioning (yes, while even on a “getting stronger” program). You’ll also discover how to set up your programs and goals for a year, all while spending no more than 45 minutes in the gym. This book delivers the blueprint on how to get stronger, more dense muscle tissue, but the real difference is the simple nutrition approach he uses to shed fat while getting stronger. Yes, I was surprised, too. But after going over the program, it all made sense to me. Elliott goes deeper than just training. He brings a mental approach, which is probably one of the biggest reasons why you might be missing out on your ultimate goals. There’s no surprise why Elliott has such a large tribe that loves his programs. The Grow Stronger Method is a simple, yet VERY effective approach to getting stronger and more athletic… not just putting on pounds of muscle. I was so impressed, that I’m offering you an incentive to get stronger. 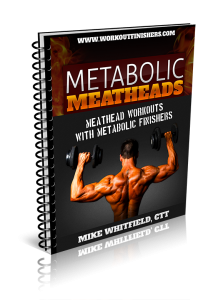 I’ve designed a 4-week program that has not been released to the public called, “Metabolic Meatheads”, which is Meathead Workouts with Metabolic Finishers. So, yes, you can lift like a meathead while avoiding the fat (even lose fat if that’s your goal) by using the workouts along with the finishers in the manual. It’s honestly my favorite full workout program that I’ve designed to date. Then, once you invest in his program (this week only), email us at cranktraininghelp@gmail.com and we’ll send you the 4-week program, “Metabolic Meatheads” that is not even on the market yet. My favorite part of Metabolic Meatheads – the unique arm superset in Workout D (good times). Let me know what you think about it. 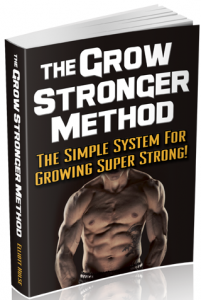 By the way, if you have any questions about the Grow Stronger Method, you can ask Elliott on the page here. Check out the Grow Stronger Method by clicking here.